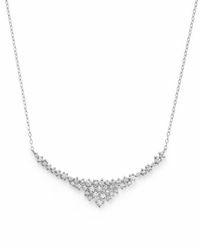 Women's Diamond Scatter Necklace In 14k White Gold, .70 Ct. T.w. We check over 450 stores daily and we last saw this product for $1,008 at Bloomingdale's. Diamond Scatter Bar Necklace In 14k White Gold, .30 Ct. T.w. Diamond Scatter Necklace In 14k Yellow Gold, .50 Ct. T.w. 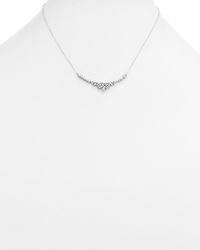 Diamond Scatter Necklace In 14k Yellow And White Gold, .50 Ct. T.w. Diamond Y Necklace In 14k White Gold, 1.45 Ct. T.w. Diamond Micro Pavé Necklace In 14k White Gold, .50 Ct. T.w. Diamond Bezel Set Y Necklace In 14k White Gold, .25 Ct. T.w. 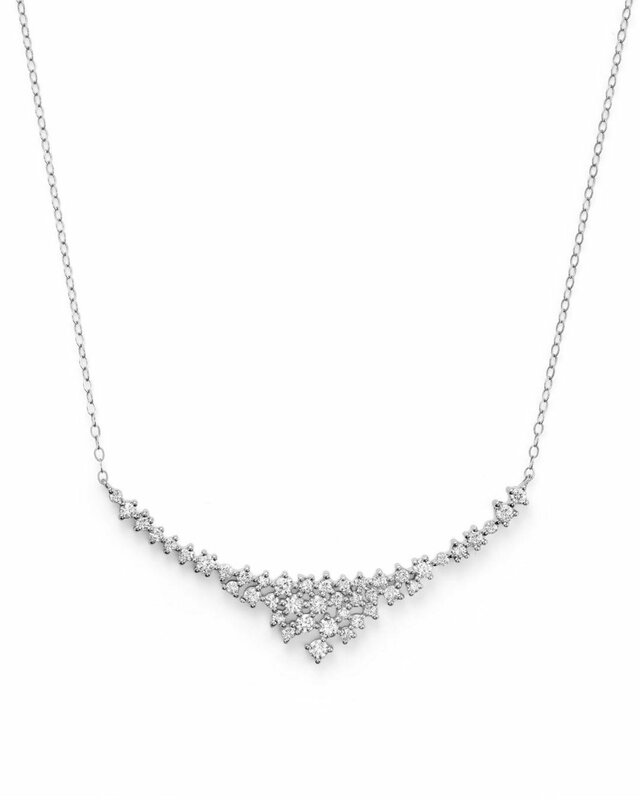 Diamond Station Necklace In 14k White Gold, 2.60 Ct. T.w. Diamond Station Necklace In 14k White Gold, 1.50 Ct. T.w.